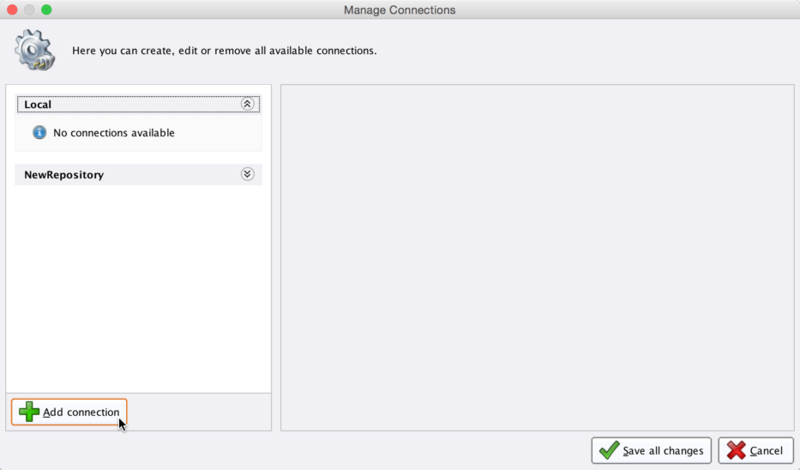 Before you can use the MongoDB connector, you have to configure a new MongoDB connection. For this purpose, you will need the connection details of your database (host name, port, and database name). If your MongoDB installation requires authentication, you will also need valid credentials. The preconfigured port is the default port used by MongoDB. Note that MongoDB does not require user authentication by default. Optionally, you can test the new configuration by clicking on the Test button. 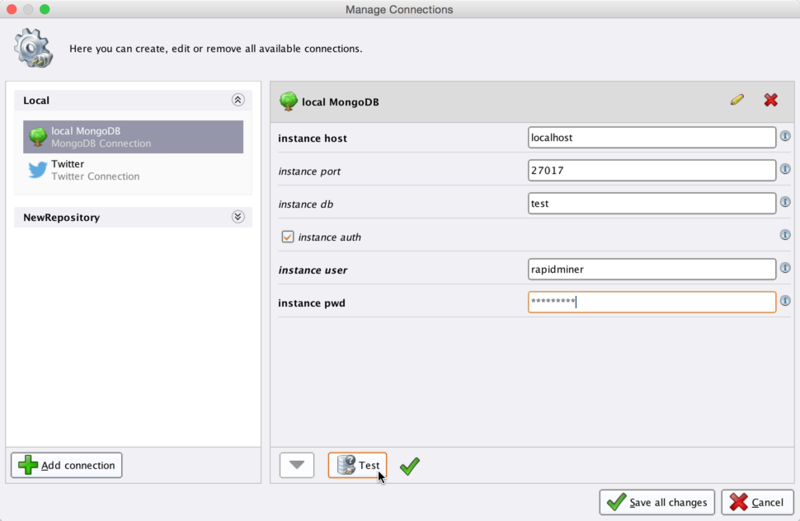 You can now use the newly created connection with all of the MongoDB operators! 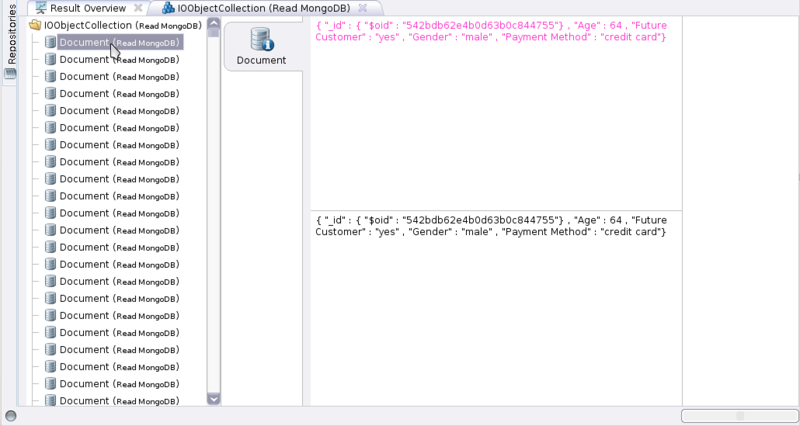 The Read MongoDB operator allows to read data from MongoDB collections. 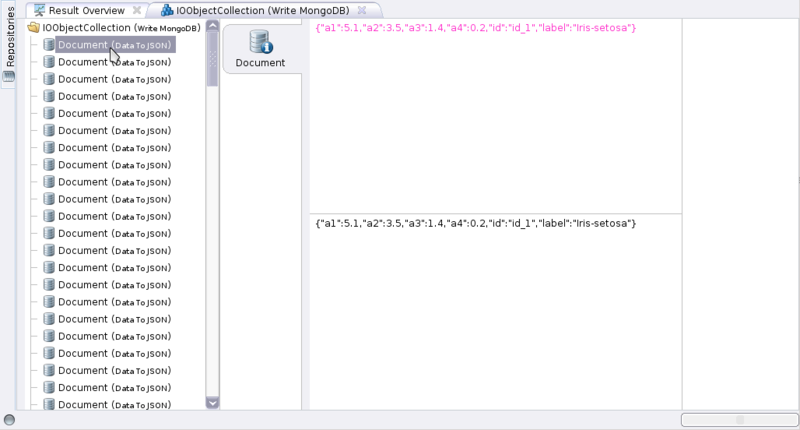 MongoDB uses the JSON format to represent data and does not use database schemata. 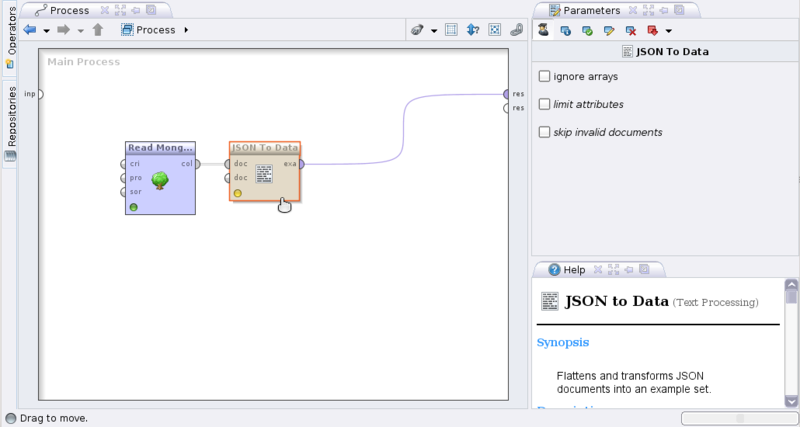 This data format can be converted to RapidMiner Studio's native format via the JSON to Data operator. 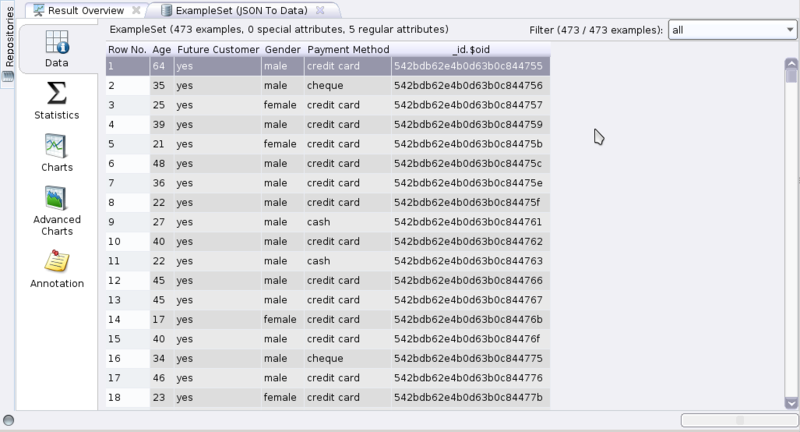 For the opposite direction, use the Data to JSON operator. Let us start with reading the raw JSON data without further conversions. 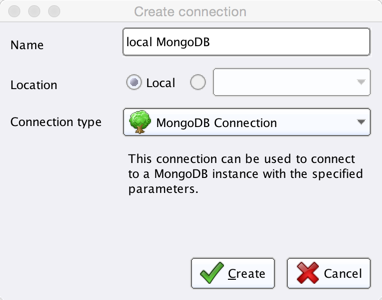 Select your MongoDB connection from the mongodb instance drop down menu in the operator parameters. 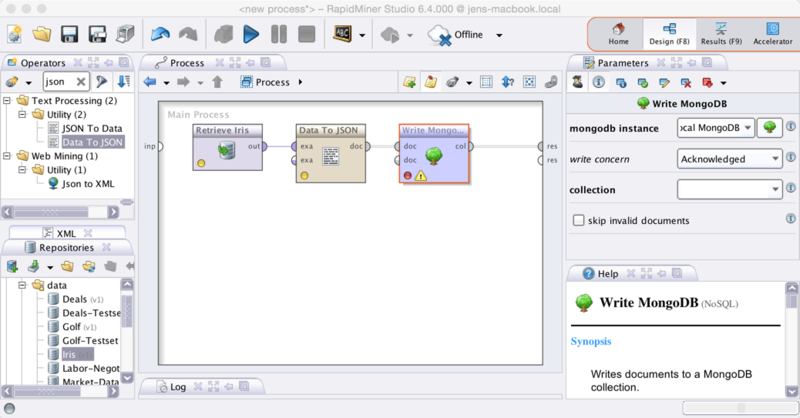 Let us now extend the process to convert this collection of JSON documents into a single example set, i.e., into a format that is compatible with RapidMiner Studio's core operators. You can now work with this example set as you are used to from other data sources. 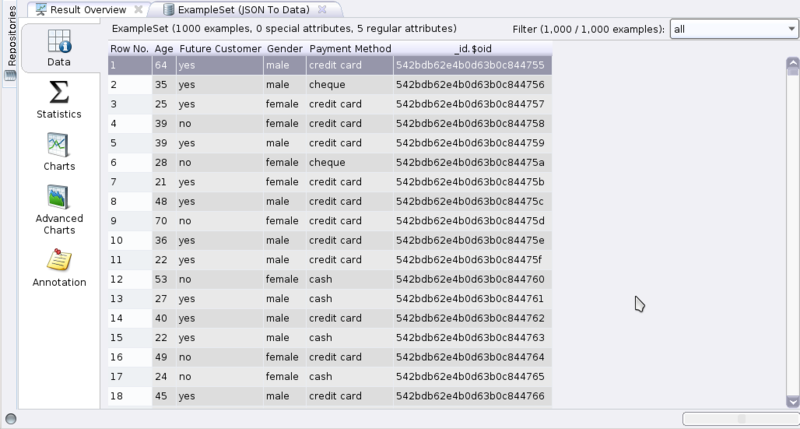 However, you might wonder how to query specific subsets of a MongoDB collection. As of now, we have always queried the the entire collection. An introduction to MongoDB's query syntax would be out of the scope of this guide. Please refer to the official MongoDB documentation for an in depth introduction to MongoDB. However, to give you an idea, let us modify the process one last time. In our example, the JSON documents in our MongoDB collection contain a field named Future Customer. 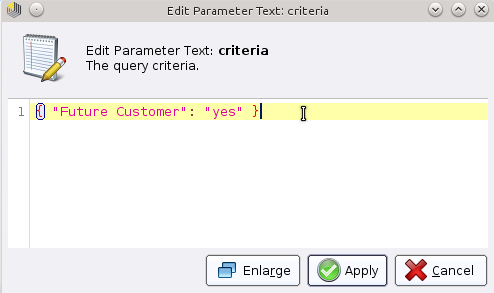 We can specify a simple query criterion that requires the value of this field to be yes (changing the following example to match your own data should be straight forward). 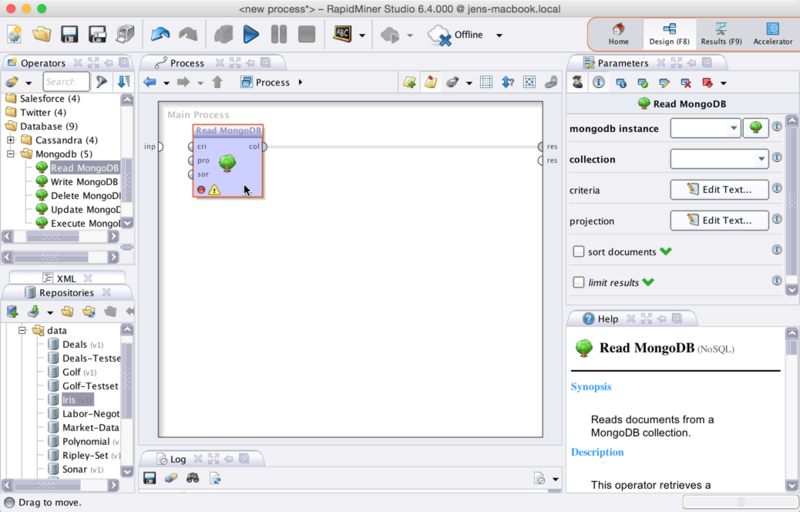 Navigate to the Design Perspective, select the Read MongoDB operator, and edit the operator parameter named criteria. Writing an example set to a MongoDB collection is easy: load the example set, convert it to a collection of JSON documents, and write it to MongoDB. 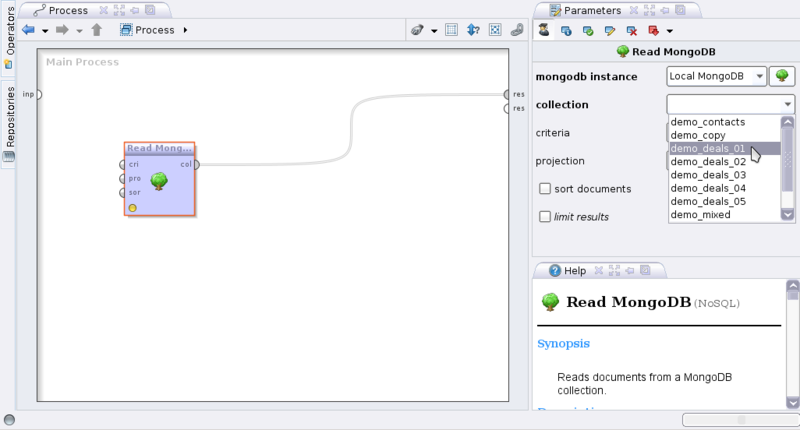 The following example illustrates how to write one of RapidMiner Studio's sample data sets to a new MongoDB collection. Note that you can also select an existing collection. MongoDB would then add the new JSON documents to this collection, regardless of the structure of the documents (remember that MongoDB collection have no static schema). Note that MongoDB automatically assigns unique IDs to newly added documents. As a consequence, running this process multiple times will result in duplicate entries.